Weddings and Civil Ceremonies are undoubtedly the most memorable days of our lives. Its your special day, perfect, magical, The one to remember but how do you make sure the day runs smoothly? Planning, Planing and even more planning. So important is this that we stated it three times! The key to planning your special day is to involve ALL suppliers early in the planning process. By making every supplier aware of their role in your celebration it will ensure no overlap or confusion. Venues, Venue Dressing, Catering, Registrars/Clergy and Entertainment… All have their part to play! As part of our Professional DJ service we will work with you from the very first point of contact. We will start by Setting out a timeline for key stages in your planning, You will be surprised how beneficial this timeline can be! Responsive and consistent communication is essential when planning however we still believe in meeting face to face. We meet EVERY couple in person, It doesn’t matter where you live or how far away you are. We will meet youIn advance of their celebratory day. Discussing timings, music tastes, first dance(s) as well as special requirements. Its a great way to break the ice and familiarise yourself with us so that on the day you can rest assured knowing we will do exactly as arranged. The DJ is your source of Public Announcements so for us knowing the order of service is imperative. Depending on the type of service required, our involvement as ‘Coordinator’ may vary. The style and volume of music throughout your celebration will be paced accordingly and we liaise with other vendors/suppliers to ensure they are on time ensuring a seamless transition or flow. Not only will you be hiring a highly professional wedding DJ but the service includes exceptionally high attention to detail. 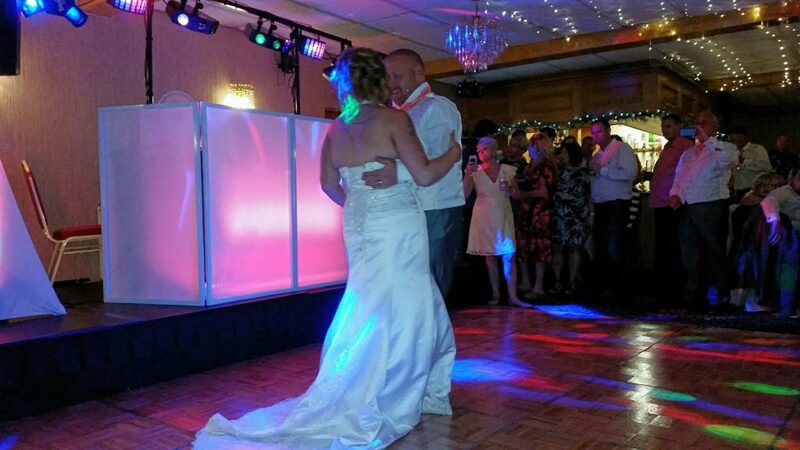 From your specific celebratory requirements to dressed equipment, neatly managed / hidden cables and even the DJ’s appearance you can rest assured we have taken every effort to ensure we not only meet but exceed your expectations. 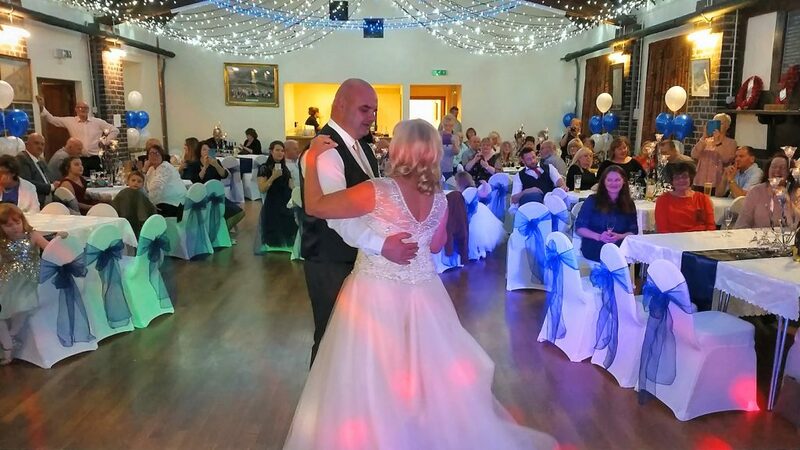 Weddings and Civil Ceremonies – Mr and Mrs Hill Take to the floor for their first dance. Through professionalism and offering flexibility within our services we believe in providing value without a compromise of quality. – Flexible / Early setup time available so your day celebrations go undisturbed without the delay of evening entertainment setup. – Thorough pre-ceremonial consultation to determine exact requirements. – A whole host of additional services << Click to see additional services or choose services from the site menu.